My husband and I decided to make a life altering move from Cloverdale to Chilliwack, we looked at many houses, we eventually found a “diamond in the rough” in Sardis. The house needed an entire interior paint out. Equity Painters and Shawn were referred to us. We had not even removed subjects on the house, the day of the final inspection Shawn came and did a complete walk through. Being an expert in his trade, we valued his suggestions and confidence in making our dream a reality. Moving is a stressful time and having this key piece of the puzzle in place was very important as the cleaners and the movers all hinged on the schedule, we had a time line that was fairly stringent. Shawn and his crew came early and stayed late, when required, to complete what needed to be done, but never in an obtrusive manner. The entire project was completed in the time set out by Shawn and the results are fantastic! Equity Painters will be coming back to paint the outside of our house this summer! It was Shawn’s professionalism, honesty and vision that drew us to choose him for the undertaking (and not a small one). It are the results that we had that enable us to offer our highest recommendation for a job REALLY well done. Shawn and his team at Equity Painters were efficient, hard-working and most importantly did a great job. In a time where our family was displaced due to unforeseen water damage, we needed a quote for essentially our whole home. Shawn made time in his busy schedule and always made us feel like his first priority. No job was too big or too small. He and his team always made us feel comfortable and were very easy going. I recommend Shawn and his team at Equity Painters to anyone who needs interior or exterior painting completed. The staff were excellent! I hired Equity Painters to paint the exterior of my home. They were very professional and did a great job. They took care of everything, even power washing. They were on time and cleaned up when they left. I am very pleased with them. 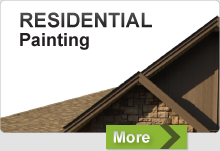 I will definitely call them for any other painting I need done. Great Job! I used Equity Painters for the renovation at Norman Manor. All of their staff were excellent and the work was well done. They were working with seniors around all day and they were so pleasant to them as well as staff. They were always prompt and me tall deadlines! In 2014 we searched for a good company to paint the exterior of our home. 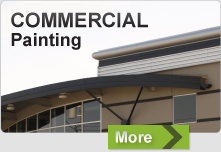 We consulted with numerous painters and received a wide variety of pricing quotes. We spoke with big and small companies, as well as individual painters. Equity Painters was one of these companies that we consulted to do our painting. One thing that stuck with us was that Shawn was clearly open about what would be done, how it would be done and what it would cost. Shawn presented one of the best price quotes, but what stood out the most was his honesty. It showed. Long story short, Shawn had his crew at our home as scheduled. They were efficient, and their work was of the highest quality. Our home was repainted and is one of the best looking homes in our neighborhood. In 2015, after the excellent experience we had with Equity Painters for the exterior of our home, we consulted with Shawn for the interior. He was extremely helpful with consulting about colors and types of paint to use. Shawn and his assistant arrived as scheduled and repainted the interior of our home. Their attention to detail and quality of work is, in my opinion, unsurpassed. If you want quality painting services at an “equitable” price, and someone you can trust, just call Shawn at Equity Painters. We are very happy with the results! The crew at Equity Painters was awesome! My husband and I decided to repaint the interior of our old house and are extremely pleased at how it turned out. The boys were very careful to cover all of our furnishings, I didn’t find a drop of paint anywhere it wasn’t supposed to be. They did a great job and cleaned up everything after they were done. I was extremely pleased…great job and very professional! Great job and appreciate your hard work and how it turned out. Thanks!